R -> L: my piece of land, garden up! 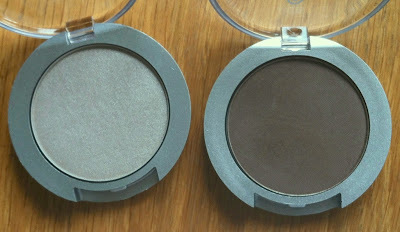 Quick review of the two eyeshadows (two of the three in the collection, the other was a green) I purchased as part of this collection. my piece of land is described as a "light asphalt grey". garden up! 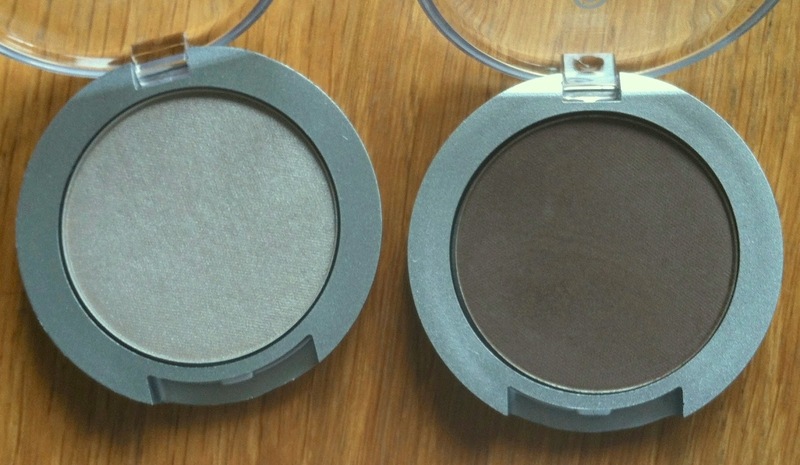 is listed as an "earthy brown". Pretty close descriptions, both. These are gorgeous neutral shades, taupe in particular just refuses to go away and features (in one tone or another) in most cosmetics brands' fall collections this year. 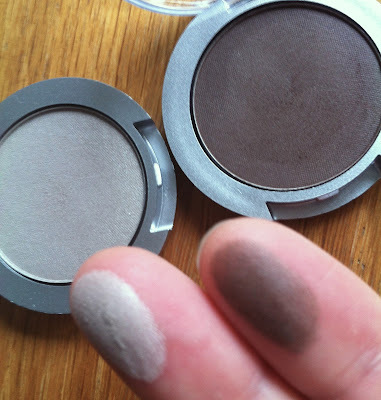 They're reasonably pigmented but not particularly long-lasting, and they need a bit of work to build them up (they are under three quid each after all!) 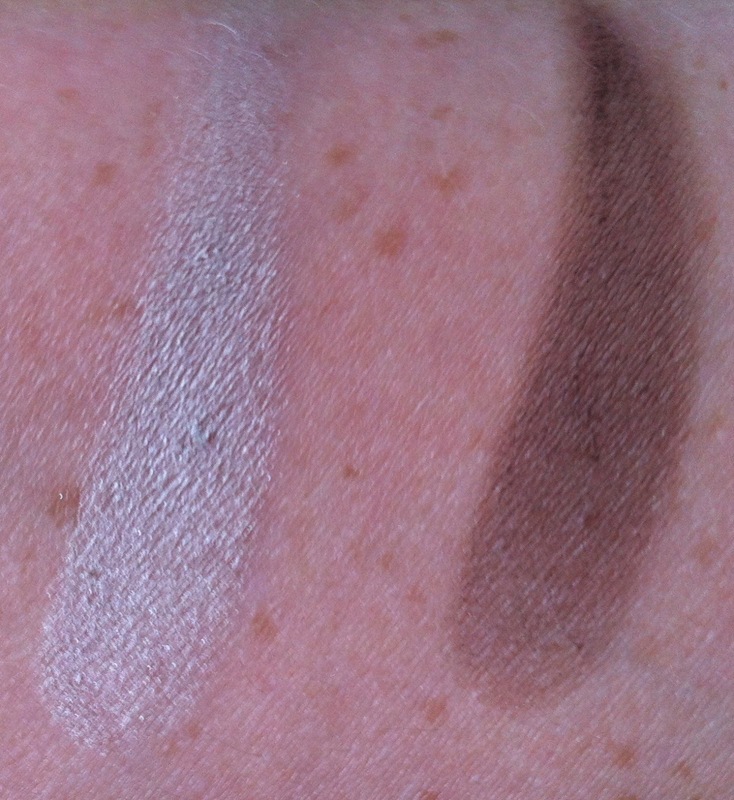 - so use a primer underneath, and spend a few minutes layering them on. Look here for my preview of the entire collection. Look here for more info on the collection (while it's still available). Look here for a review of the brow mascaras which is in this collection.